Our journey continues, from the first stop Chefchaouen next stop will be Fez, but after that, we are going to discover the north of Morocco. 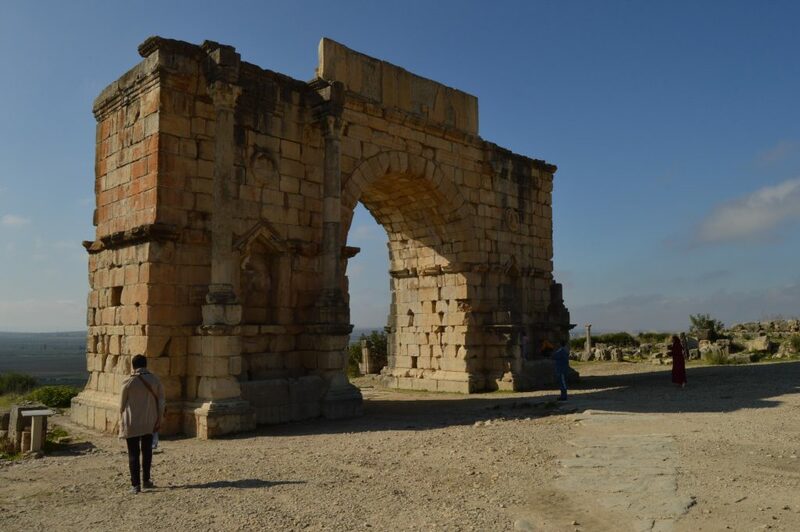 In this part of the journey, we will pass from the ruins of Volubilis to the door of Meknes. The north of Morocco is a little mountainous and very green area. Do you need some tips for planning your trip? Read here. 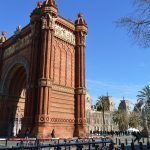 Or maybe you some tips to survive in Morocco? Read Here. The blue pearl, so they call this town in the middle of the Rif Mountains, two hours from Tangier. 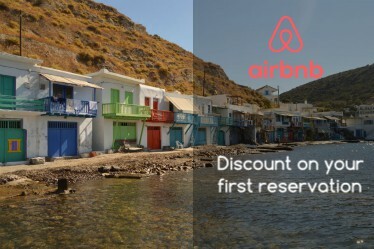 There is no need to stop more than one night in Chefchaouen, you can visit it in no time and have a good evening. I advise you to visit it during the day its colors are not appreciated in the evening. Chefchaouen is a good starting point towards Fez, which is only a 3 and a half drive away. 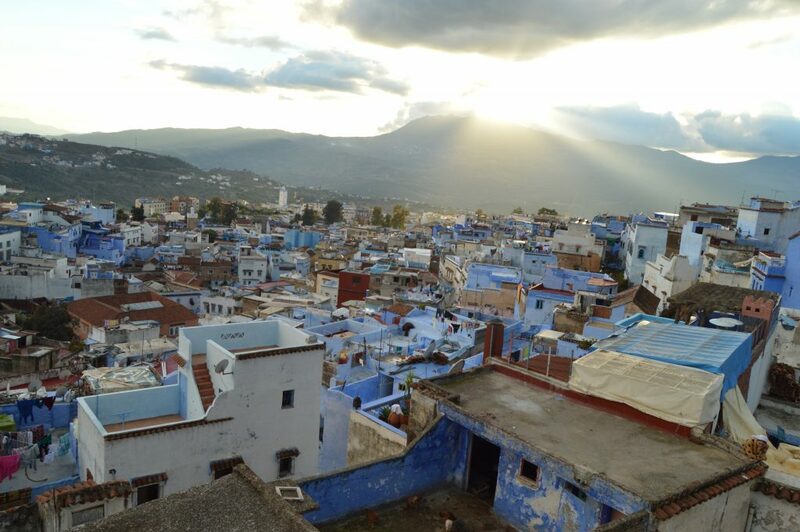 If you want more info on Chefchaouen read here! 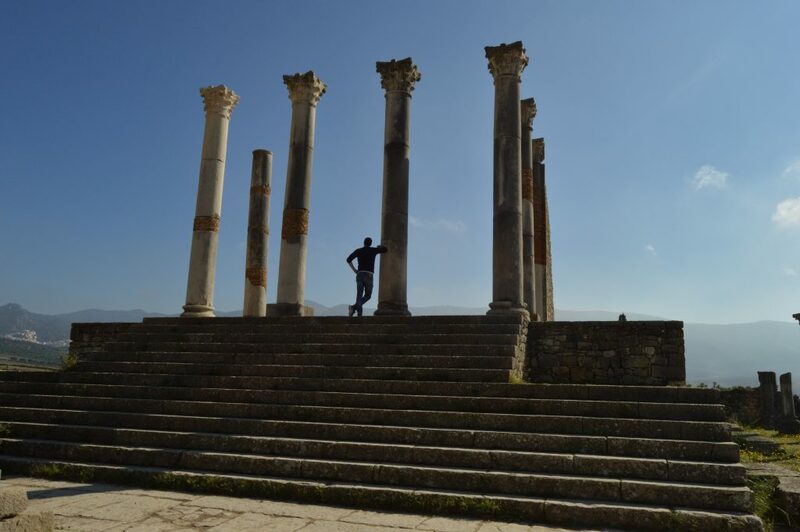 The city of Volubilis is a Roman archaeological site, located at the foot of Mount Zerhoun. 27 km north of Meknès and 80 km north-east of the Atlas. 3h drive from Chefchaouen and 1h30 from Fez. It is the most well-known archaeological site in Morocco and is listed as a UNESCO World Heritage Site. It is easy to visit in a couple of hours, if you want to have lunch there is also a bar that prepares Tajin (typical Moroccan dish). Meknes is the most recent of the four imperial cities and was the capital of Morocco before this honor was given to Fèz (in 1912). The city is located 50min from Fez and almost two hours from Rabat. 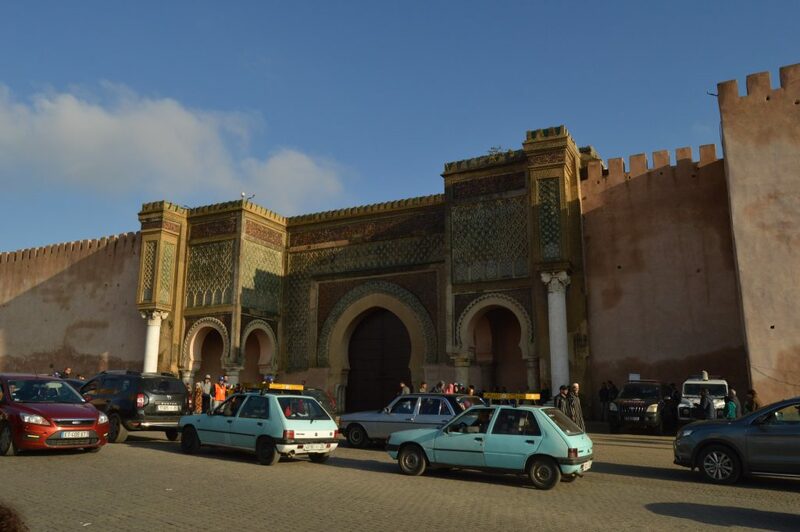 It can be reached by train, it has two train stations: Meknes-Ville and Meknes-Amir Abdelkader (which connects it to Rabat and Fez). In the “Medina” (the old town) you can find the famous entrance portal, Bab Mansour, which is the symbol of the city. You can take a trip to the Medina, very similar to Fez, for this reason maybe I discourage you. From here we follow our journey towards the city of Fez or return to Chefchaouen. Do you need some tips for planning your trip? Read here. Or maybe you some tips to survive in Morocco? Read Here.